Site of ancient forts and spectacular views. 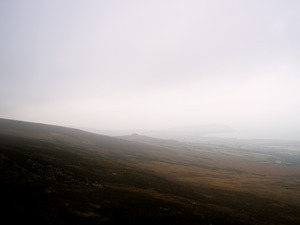 Spend a night on Carningli Mountain and you either become a poet or go mad - just one of Carningli's many myths. There are many stories and legends associated with Carningli (The Mount of Angels), there is a modern story writer continuing to write sagas based upon this Mountain. 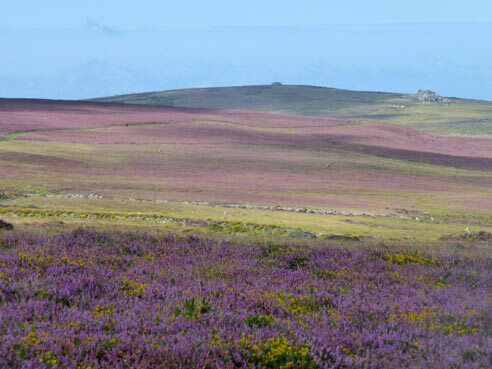 Carningli is magical, from its timelessness to its stunning three hundred and sixty degree views across the Pembrokeshire tundra there is a sense of something mythical, ancient and untouchable about this hill top south of Newport Pembrokeshire. Cairns are dotted about all over the mountain along with the remains of hut circles from forgotten civilisations that once lived, farmed and defended this part of Wales. 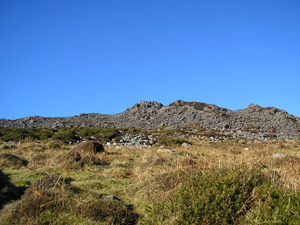 The peak at Carningli has remains of stone ramparts that would have once formed a defensive ring around the summit of this mountain. To have moved the amount of stone making up these walls would have taken a great deal of human power and time leading to conclude that this was once a very important settlement and a seat of great power along the west coast of Wales. A short but steep walk from Newport can take you to the wishing well on Carningli's lower slopes. There is a rocky out crop with a good climbing slab, just below sits the wishing well with its cap stone. Carved steps allow you to climb up on to the cap stone and the reward is a great view to the North. The Nevern Estuary can be viewed in all its splendour from this capstone, winding its way along the valley from the Coast alongside a wooded valley to where it disappears in to the distance towards Eglwyswrw in the East. 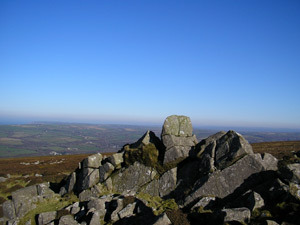 Some good circular walks can be made from Newport up on to the Mountain of Carningli. Walking West out of Newport towards Fishguard, take a left, sign posted Cwm Gwaun (Gwaun Valley) and continue on taking the left fork in the road a mile or so on. Continue upwards along a winding mountain road until you reach a small graveled car park on your left. Looking East at the car park you will see a low stone wall heading off to the East, alongside the wall is a good path that will take you along to the Summit of Carningli. There are many paths leading down from the Summit and to return to Newport you can take any one that point in the general direction of the Town, just remember one simple rule on your descent - if you start going back uphill, chances are that you have taken a wrong turn, back track and take a downhill route. Take care to ensure that you have adequate foot ware, some warm clothes (just incase the weather turns) and please leave everything as you found it. Fenced fields are usually not public domain unless there are sign posts clearly marking footpaths through them. 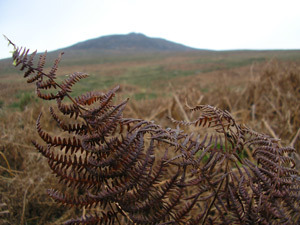 Map showing location of Carningli Mountain, Newport Pembrokeshire.